Louis did much of the woodworking in the house, including the fabrication of the white oak stair treads. The ironwork was crafted by Alex and Gio Welding. 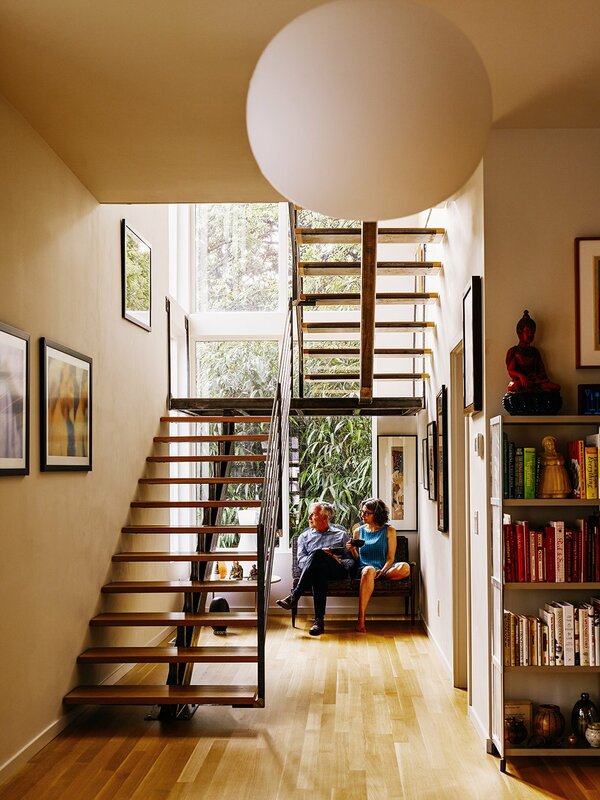 A Glo Ball pendant by Jasper Morrison for Flos hangs in front of the staircase.